In this touching and informative memoir about foraging for food in New York City, Ava Chin finds sustenance…and so much more. Urban foraging is the new frontier of foraging for foods, and it’s all about eating better, healthier, and more sustainably, no matter where you live. Time named foraging the “latest obsession of haute cuisine.” And while foraging may be the latest foodie trend, the quest to connect with food and nature is timeless and universal. Ava Chin, aka the “Urban Forager,” is an experienced master of the quest. Raised in Queens, New York, by a single mother and loving grandparents, Chin takes off on an emotional journey to make sense of her family ties and romantic failures when her beloved grandmother dies. She retreats into the urban wilds, where parks and backyards provide not only rare and delicious edible plants, but a wellspring of wisdom. As the seasons turn, Chin begins to view her life with new “foraging eyes,” experiencing the world as a place of plenty and variety, where every element—from flora to fauna to fungi—is interconnected and interdependent. Her experiences in nature put her on a path to self-discovery, leading to reconciliation with her family and finding true love. Divided into chapters devoted to a variety of edible/medicinal plants, with recipes and culinary information, Eating Wildly will stir your emotions and enliven your taste buds—a moving memoir about the importance of family, relationships, and food. 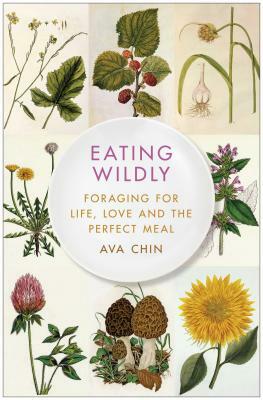 Ava Chin is the author of Eating Wildly: Foraging for Life, Love and the Perfect Meal and the former Urban Forager columnist for The New York Times. She has written for the Los Angeles Times, Saveur, The Village Voice, Spin, and others. A former slam poet and activist, she is a professor of creative nonfiction and journalism at CUNY. She lives in New York City with her husband and daughter. Follow her at AvaChin.com.